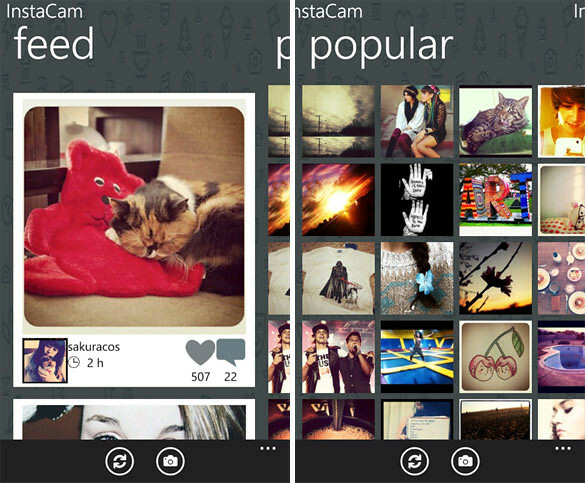 Instacam, An Instagram Client For Windows Phone Is Available Now! To all Instagram users and fans! 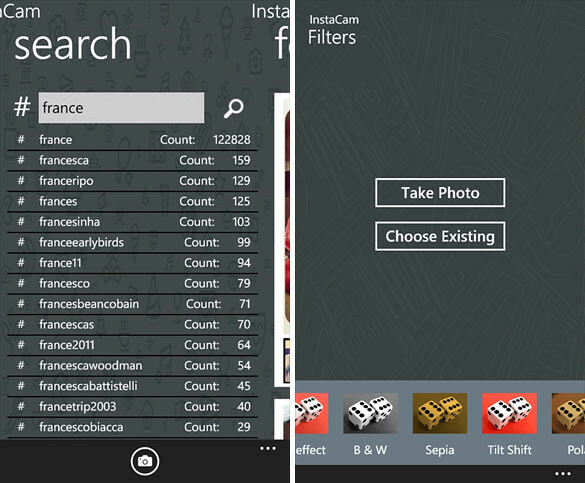 Check out Instacam for Windows Phone! It’s an Instagram app for you to view your Instagram feeds, comment, like, take pictures on your phone, add different effects, and then share them via Facebook, Twitter or email. Do note that this is just a client, which means you CANNOT post photos to Instagram. Instead, the app allows you to view, like, comment and search stuff just like the original Instagram app on the iPhone.